Nigerian Air Force (NAF) Direct Short Service Course (DSSC) List of Shortlisted Candidates for 2018 DSSC Enlistment Interview Exercise. The Nigerian Air Force (NAF) has released the list of shortlisted candidates for the Direct Short Service Course (DSSC) enlistment interview exercise for 2018. 1. 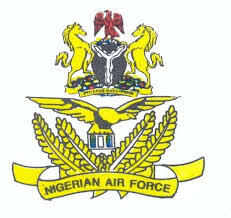 The under-listed candidates are hereby invited to attend Nigerian Air Force 2018 Direct Short Service Commission Interview Exercise at the Nigerian Air Force Base Kaduna. Candidates are scheduled for the Interview as published here>>> 2018 NAF DSSC Recruitment Screening Exercise Dates & Venues. Goodluck to all shortlisted candidates.